Who is leading Africa’s digital infrastructure investment to enable technology of the future? Envir Fraser, CSO and Partner at Convergence Partners, an impact investment management firm focused on the telecommunications, media and technology sector in Africa, expects broadband to continue offering investment opportunities as the need for high quality broadband increases with step changes in prices. “This does mean that the opportunities are shifting from pure greenfield builds and opportunities to brownfield expansion and consolidation in the sector. The needs for “big pipes” to realise the 5G reality will also need increased investment in connecting towers and high sites to high-speed fibre or wireless backhaul networks”, says Fraser. Consolidation in the sector is also to be expected, according to Alexander Kiel, CFO, at CSquared, the Google-backed African fibre network operator. “Fibre, like other infrastructure, is a game of scale, we do expect some consolidation to happen over time, with it most likely to start with the transfer of management of public fiber assets to private operators.” Over time, as fibrecos increase in scale and expertise, Kiel also expects to see more sale and lease-back deals between the fibrecos and the mobile operators. 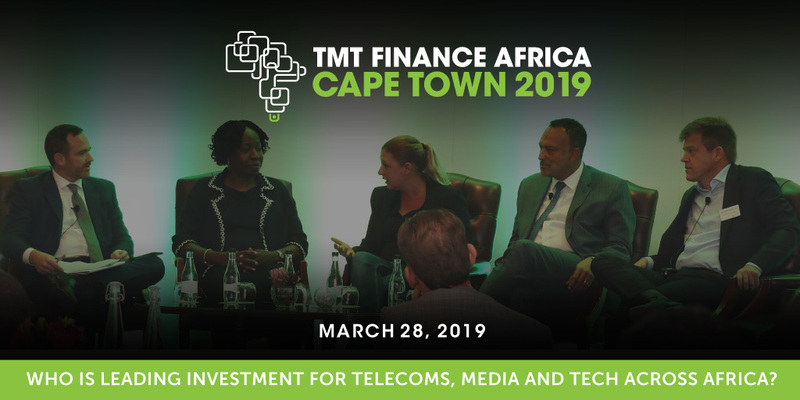 Key sessions at the senior executive only event include, Telecom Leadership Africa; Broadband Infrastructure; Digital Infrastructure Africa; Next Generation Media; Powering Mobile Towers; Data Centre and Cloud; Mergers and Acquisitions; TMT Investor Strategies; Broadband Infrastructure; Financing TMT; Fintech and Mobile Money; and Smart City.